Overalls: Levis. Coat (love the specks of color!). Top: Comme des garcons. Bag: Mansur Gavriel. 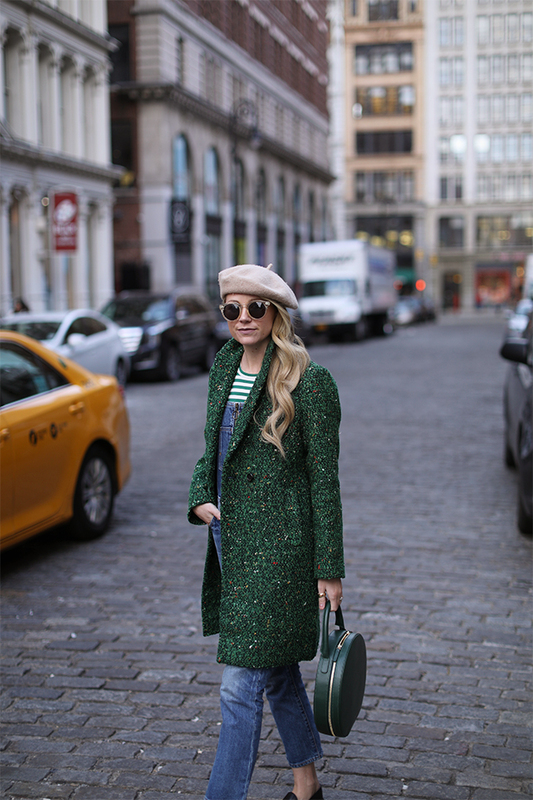 Beret (under $30). 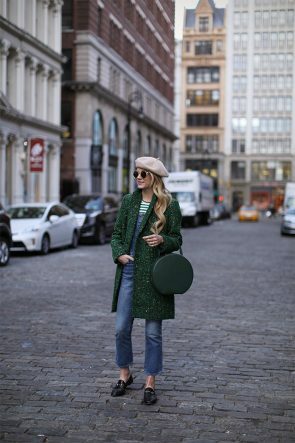 Love ❤️ that French Beret look, so casually cute chic & charming! ♥️??♥️?? I’m in love with the colour scheme of this (AND THAT BAG *deep sigh*). Very chic! That tweed coat is so perfect! So cute! This coat is SO good, Blair! Love it with a more casual look like this! Thanks Dana! I hope you have a great weekend. So cute how you styled the overall with the striped shirt! Blair so strange to see you in denim overalls ! You are also so elegant , you make overalls glamorous! Love this mixture of casual and chic, and green and blue are always a great combination. Such a cute weekend look! Have a great rest of your day, lady! That is a statement coat, indeed! I love the texture and the color! I think pairing it with overalls really make it stand out! Omg! You are a genius! I luv how you put your looks together and scout places to shoot them. Absolutely stunning work!! Très chic! Your coat and bag are a must haves, such an amazing pieces! 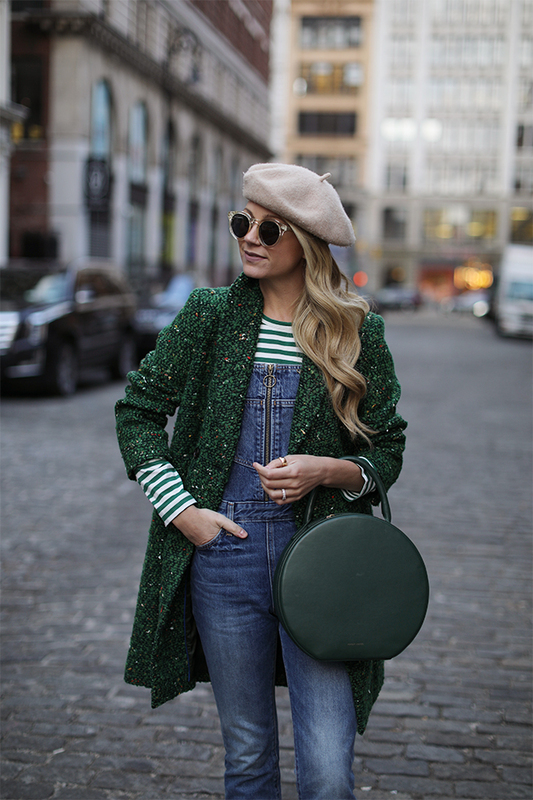 I’m totally in love with this green coat, it is an extraordinary yet amazing piece ! Stunning ensemble! Love the coat and bag, masur gavriel just has the best bags! Getting this beret for my trip to Paris for Christmas! Love the bag – of course! 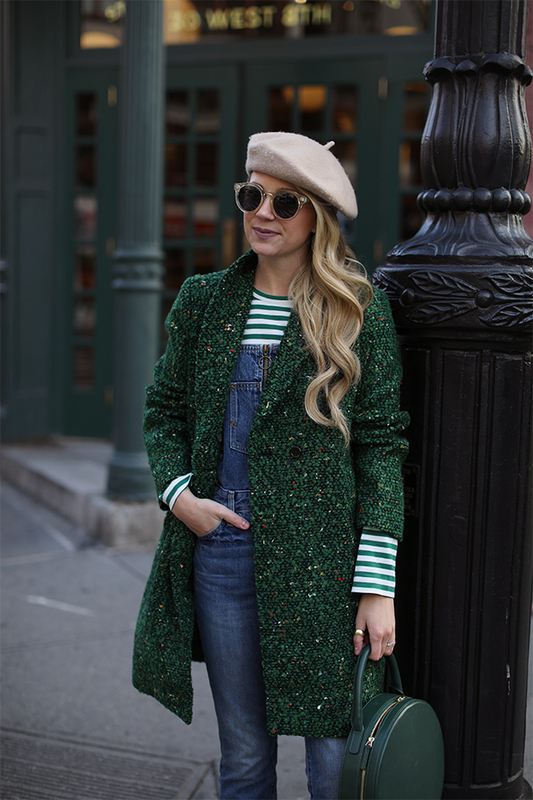 The coat is gorgeous and works so well with the green stripes! I love this green outfit so much! Thank you for the inspiration. Love the colour combination! Great outfit for the winter. The coat color is going very well with the denim. Good choice. I like very much this green coat,but it’s out of stock! Can I order one? 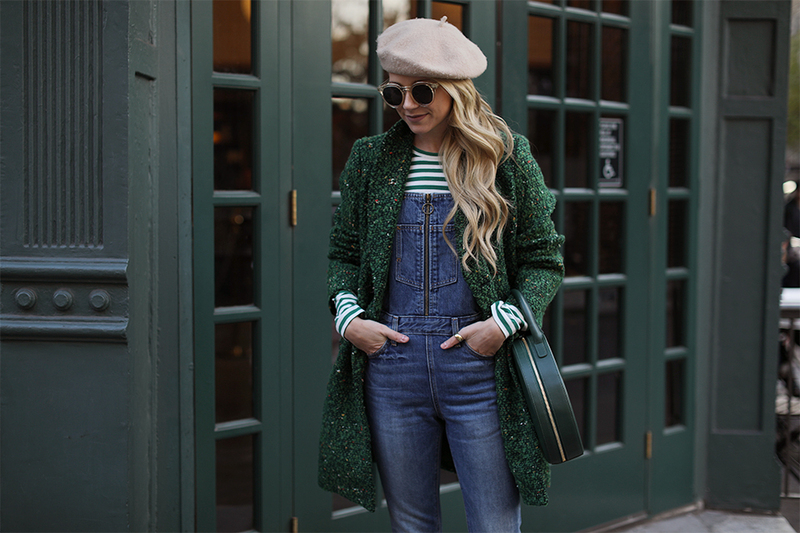 Can I order one o this GREEN STRIPES // OVERALLS AND A STATEMENT COAT,size S? A new try with green!